The 34-year-old rapper says the protests were part of a "deeply emotional" reaction to the war and the death of two Korean school girls. South Korean rapper and Internet sensation PSY is apologizing to Americans for participating in anti-U.S. protests several years ago. Park Jae-sang, who performs as PSY, issued a statement Friday after reports surfaced that he had participated in concerts protesting the U.S. military presence in South Korea during the early stages of the Iraq war. At a 2004 concert, the "Gangnam Style" rapper performs a song with lyrics about killing "Yankees" who have been torturing Iraqi captives and their families "slowly and painfully." In another protest, he smashed a model of a U.S. tank on stage. "While I'm grateful for the freedom to express one's self, I've learned there are limits to what language is appropriate and I'm deeply sorry for how these lyrics could be interpreted," he wrote in the statement. "I will forever be sorry for any pain I have caused by those words." The 34-year-old rapper says the protests were part of a "deeply emotional" reaction to the war and the death of two Korean school girls, who were killed when a U.S. military vehicle hit them as they walked alongside the road. He noted antiwar sentiment was high around the world at the time. PSY attended college in the U.S. and says he understands the sacrifices U.S. military members have made to protect South Korea and other nations. He has recently performed in front of servicemen and women. "And I hope they and all Americans can accept my apology," he wrote. "While it's important that we express our opinions, I deeply regret the inflammatory and inappropriate language I used to do so. In my music, I try to give people a release, a reason to smile. I have learned that thru music, our universal language we can all come together as a culture of humanity and I hope that you will accept my apology." His participation in the protests was no secret in South Korea, where the U.S. has had a large military presence since the Korean War, but was not generally known in America until recent news reports. 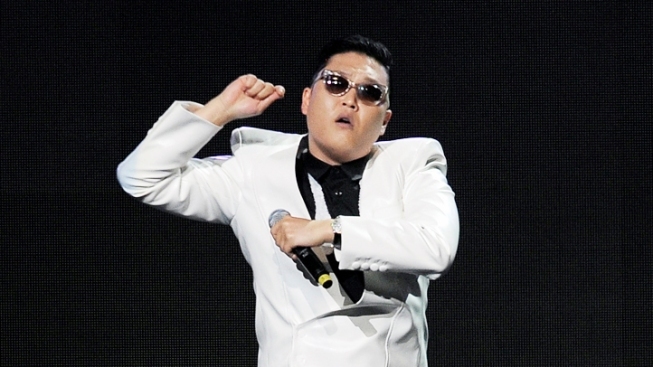 PSY did not write "Dear American," a song by The N.E.X.T., but he does perform it. The song exhorts the listener to kill the Yankees who are torturing Iraqi captives, their superiors who ordered the torture and their families. At one point he raps: "Kill their daughters, mothers, daughters-in-law, and fathers/Kill them all slowly and painfully." PSY launched to international acclaim based on the viral nature of his "Gangnam Style" video. It became YouTube's most watched video, making him a millionaire who freely crossed cultural boundaries around the world. 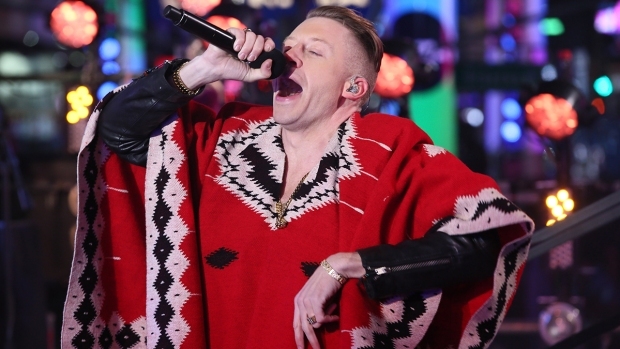 Much of that success has happened in the U.S., where the rapper has managed to weave himself into pop culture. He recently appeared on the American Music Awards, dancing alongside MC Hammer in a melding of memorable dance moves that book-end the last two decades. And the Internet is awash with copycat versions of the song. Even former Republican Sen. Alan Simpson, the 81-year-old co-chairman of President Barack Obama's deficit commission, got in on the fun, recently using the song in a video to urge young Americans to avoid credit card debt. It remains to be seen how PSY's American fans will react. Obama, the father of two pop music fans, wasn't letting the news change his plans, though. Earlier Friday, the White House confirmed Obama and his family will attend a Dec. 21 charity concert where PSY is among the performers. A spokesman says it's customary for the president to attend the "Christmas in Washington" concert, which will be broadcast on TNT. The White House has no role in choosing performers for the event, which benefits the National Children's Medical Center.